NSN has created the Line Manager Index (LMI) which measures the defining behaviors that illustrate the Leadership Code. DOCOMO interTouch "Most Notable Leader Award"
I am most delighted to present to you the Employee Award - Most Notable Leader Award in recognition of your outstanding performance and commitment with interTouch. Your professionalism and positive attitude are very much appreciated and highly valued by the Company. - Sound individual with clear emphasis on process improvement and organizational effectiveness and how this can impact on the bottom line results. - Clear focus ensuring that team work is successful and holds people accountable for development of esprit d'corps within the business unit. - Has a focus towards ensuring customer satisfaction and understands how this impacts the long term relationship development with clients. "With Harald the Ericsson team has got a strong and committed team leader bringing a lot of experience into the project. I personally was pleased that Harald always listened to our customer requests and needs." "And it is important to state that the final time line to finalize the project has been kept and Harald summarised all important information in a very comprehensive handover report including all major project files and configurations." "Harald gave Telkomsel valuable input on the tools implementation which has been ongoing at the same time, and managed to ease and counteract on tools short comings during the first couple of months." "Harald ensured that the front office staff does not only understand and rotate across different vendor technologies on RAN, but also between monitoring and dispatch including all notifications." "While working with Harald on the Service Excellence project he once told me that there are three ways to work: Lead, Follow or Get-out-of-the-way. As Lead Consultant Harald was doing an incredible job of leading the team and the project. He followed when the project and team success required it, and he never had to get-out-of-the-way. Harald brought outstanding experience and encouraging way of leadership to this project. His relationship with the customer was second to none, and the customer’s feedback has been always extremely positive. Harald is a skilled and cultural adaptive professional. It has been great to know and work with him." "In everything what Harald does, he shows a very high level of energy, drive, and determination, while always maintaining his enthusiasm, humor and spontaneity. He encourages openness in information sharing, always has a "can do" attitude, consistently looking for ways to do better, faster, more, cheaper and safer. Harald has exceeded all my expectations in the area of leadership. He has formed truly outstanding teams in Lisbon under extremely difficult conditions creating one of the pillars of NSN operations." Harald is one of the few Executives who has the vision and drive to make things happen. He has on numerous opportunities created teams from scratch and delivered high risk high reward projects. Harald has concluded the temporary job as a Head of Network Operations at Banglalink in Bangladesh leading to Field Line Maintenance (FLM) transformation by insourcing the active and outsourcing the passive part of FLM. Additionally a NOC revamp program has been outlined and is on its way of implementation. In December 2017 Harald helped Docomo Pacific with a quick and comprehensive survey of the existing NOC setup and gave valuable input for the executive management planning for 2018. Harald has successfully concluded his interim role leading as Program Director of Ericsson the New Generation Charging and Billing System Program for Indosat in Indonesia. This program has been started and is guided to replace the current Billing System as a first step towards a next generation revenue management solution. Until end of July 2016 Harald was leading the Operations Transformation team of Ericsson in Indonesia working on an NOC Management program for Telkomsel's CNOC. Goal, which has been fully achieved, has been to centralized network operations of 11 different regional NOC's into one a single location following best practice ITIL and eTOM standards. As a consequence the network availability has increased in all regions. Tools like Trouble Ticket System, Umbrella Management System as well as Workforce Management system have been implemented and introduced in an Agile-like manner. The transformation program included as well to harmonise those tools and processes and to enable, coach and performance measure CNOC engineers. Prior to Ericsson Harald has been working as an End-to-End Solution consultant for Huawei GNOC pre-sales activities across various countries for two years. Due to his on-hands experience various delivery migration projects have been supported and lead by him as well. For more than three years Harald was heading the Global Network Operations Center (GNOC) for Nokia Siemens Networks in Lisbon/Portugal with around 400 people. The GNOC managed the Network Operations 2G/3G/LTE for several large European Operators performing various operational tasks. Many tools, process and workflow automations have been implemented under his lead. Harald operated this center on a 24/7 basis and has been responsible for a 12 million Euro yearly budget. Harald has been recognized as one of the top 5 percent of NSN line managers for making a difference in the category “Consistency in Leadership” at NSN Global Service in 2010 and 2011. Harald has over 28 years experience in the Telecommunication Industry in Europe, Asia, Africa and the Middle East. He has spent considerable time working in Asia, where he was largely responsible for service and sales of Mobile Networks and Fixed Lind Networks in Thailand, Indonesia, Bangladesh and India. Harald is equally skilled and experienced in Sales and Service establishing successful and long lasting customer relationships. E.g. as Sales Director for Siemens Harald steered a business with a volume of more than 210 million Euro in the countries Thailand, Cambodia and Myanmar in 2001/2002, while for DOCOMO interTouch he successfully operated a multi-language call and network operation center in Kuala Lumpur. Harald holds a Bachelor in Mathematics and also the Post-Certification in Marketing, Finance and Accounting as part of the MBA program from Heriot-Watt University in Edinburgh. 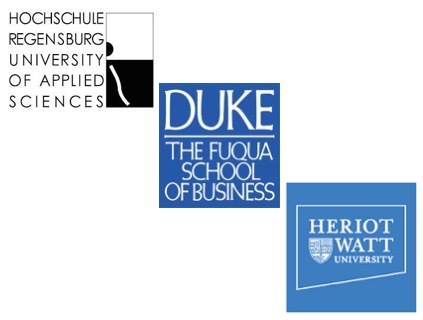 Harald successfully passed the S3 Advanced Management Program of Siemens/Duke University-Fuqua School of Business. 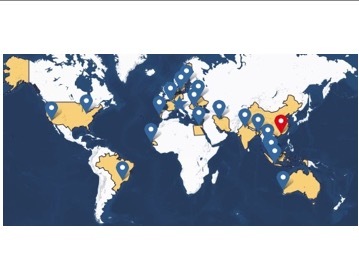 The role as Head of Network Operations at Banglalink in Bangladesh has been setup as a temporary position to be filled by a local resource. Harald has entered into a temporary contract through and agency reporting directly to the CTO. During the two months Harald has helped to ease the departure of the previous Head of Network Operations and played a major role in getting the hand-over of the existing to a completely new FLM vendor done. Major task and achievements have been to split the previous active and passive FLM tasks into two parts. The active FLM part has got unsourced, while the passive part has been outsourced to a new local vendor. Harald guided to control the HC ramp-up of the active as well as the passive part, this included planning of joined offices as well as vehicles and portable generators. Restructuring of the Power Department has let to major synergies and a headcount reduction of more than 50 percent in that area. Beside the FLM program, another important task has been the revamp of the Network Operations Center (NOC), by starting the RFQ/RFI for new tools and enhancement as well as stabilization of the existing ones. A detailed plan to introduce Level 1 expertise into the existing NOC has been worked out and presented to upper management. For about 1.5 weeks Harald did a quick assessment of the Network Operations Center of Docomo Pacific on Guam, which concluded with a successful presentation to CEO, CTO and Head of Human Resources. The survey has been conducted by many interviews across all levels and side visits of the major data centers. Indosat in Indonesia has selected Ericsson as the Prime System Integrator for the next generation charging and billing solution as part of an OOREDOO frame agreement. As a start of the project team setup, final scope and timeline definition have been Harald's priorities as the interim Program Director during the first months. The initial stage is the replacement of an existing billing system embedded in an existing eco-system. Operations Transformation Excellence of CNOC at Telkomsel Indonesia focusing on Incident, Change and Problem Management. People: All Front Office (FO) and Back Office (BO) staff has been enabled trained and each individual performance is measured, tracked and basis of personal feedback sessions. A change of attitude from being reactive to pro-activeness can be observed ensuring the first step on the journey to become a truly service oriented operations center. Tools: REMEDY as the sole means to record network incidents have been introduced and established. Ticket creation and assignment speed is closely monitored and are matching the SLA requirements. NetAct as an Network Umbrella Management system has been introduced, configured and all related processes have been defined and the NOC engineers enabled accordingly. Use of social media like LINE and TELEGRAM has been streamlined and partially replaced by introduction of a Workforce Management System (WMS) nationwide across all 11 regions. All those tools have been implemented in an Agile-like matter with incremental and constantly increasing features and functionalities along with the necessary enabling and process adjustments. Process: Process documentation L1 to L5 have been created, communicated and centrally stored. Proper socialization and enabling has been gone along with it ensuring that all FO and BO staff following the same rules and procedures. Special focus has been to ensure that the process is getting measured and controlled across all steps from end-to-end. - France/e2e GNOC solution: FT ENO (Europe) and FT ANO (Africa) projects. The solutions provided during the tender process included centralised Global Network Operation Centers in one or multiple locations either as an outsourced managed service business, but also as build-operate-transfer scenarios. As the Global Network Operations Center (GNOC) for Nokia Siemens Networks (NSN) in Lisbon/Portugal Harald was fully managing the Network Operations 2G/3G/LTE for several large European Operators performing various operational tasks on a 24 by 7 basis with about 400 people. After Harald had taken over the GNOC process and workflow definition had seen enormous improvement, while automation and tool development had been not only started but accelerated rapidly and resulted in a comprehensive suite of tools and automation ("GNOC Portal") including mobile applications for alarm and performance monitoring on iOS and Android devices as well as a field force management system interfacing the trouble ticket system. Several audits proved that Harald managed to re-organize successfully, and the Global Network Operation Center located in Portugal was completely aligned with NSN's Operations model following eTOM, NMS and ITIL. Harald had run several cost cutting, savings and innovation initiatives helping Lisbon/Portugal to be nominated as one of the Global Delivery Centers (GDC) of NSN. Consultancy for various internet access and telecommunication projects for GSCOM's own business with regards to Broadband-over-Powerline (BPL) and tender support for Patimas Computer Berhad in the field of telecommunications subcontractor consolidation and management for Maxis Smart Partner Program. In Singapore for New Business since Feb. 2008 investigating, developing and implementing new business opportunities for DOCOMO interTouch, beside integration of two companies (Nomadix, Percipia) into the interTouch group of companies family. Before: EVP Solution Development and Service (see below). which comprised of about 40% of interTouch's human resources. Starting as interface for Siemens towards Ericsson, which was forced by legislation (missing OEM certification) to purchase the MSC, VLR and HLR from Siemens, Harald managed not only to establish a direct sales relationship with Excelcomindo (XL), but also introduced and sold a PrePaid solution based on IN directly.